Surround yourself with energy! Take a group fitness class at our gym in Brampton and enjoy a dynamic atmosphere that is supercharged with enthusiasm. Our schedule of classes range from fun Zumba and Bollywood dance to intense Body Chisel, HIIT and Boot Camp. Find your favorite! We'll keep your kids entertained while you exercise! 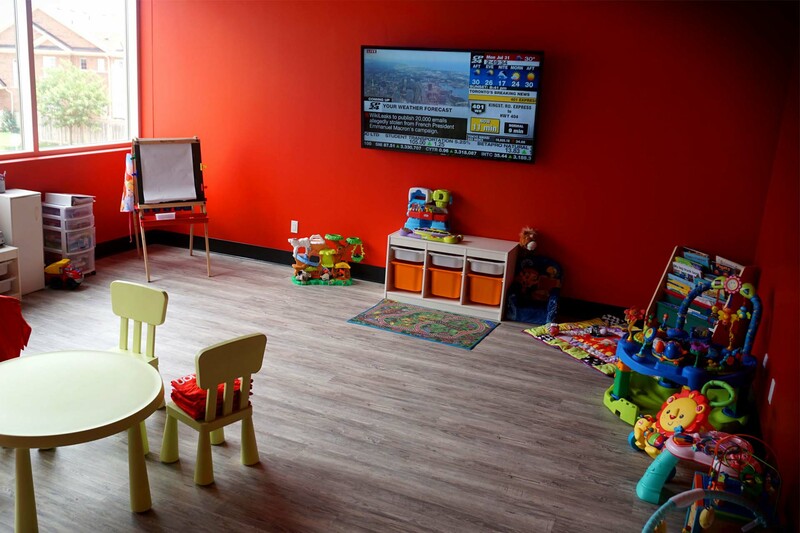 Children from newborn through 11 years are welcome in the Kids Zone, a secure area that is fully supervised and stocked with toys, games, and age appropriate activities. We're pretty sure they won't want to leave! 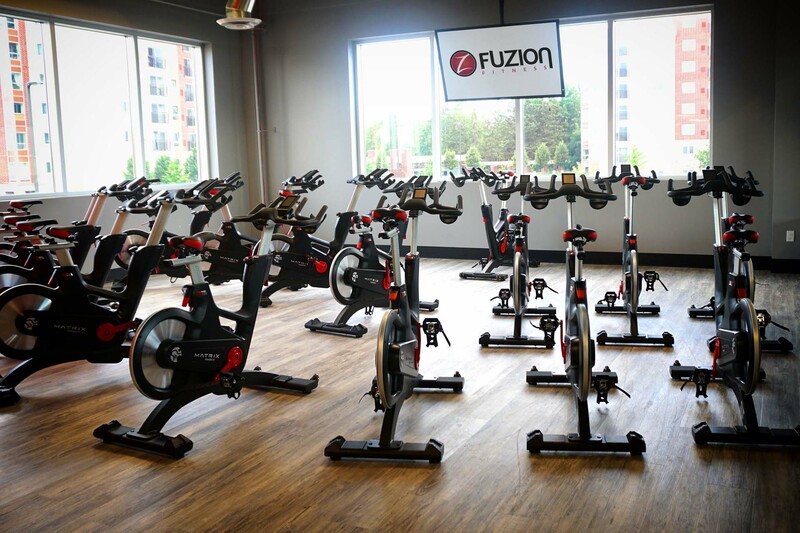 Fuzion Fitness in Brampton offers plenty of ways to achieve an aerobic workout, including single station cardio machines and energetic group fitness classes. All of our equipment, like treadmills, ellipticals, and bikes, feature a 19-inch monitor for your entertainment, and you can even use it to build your own profile and keep track of your cardio workouts. Walking or running -- cardio fitness is just steps away! Define your muscles and tackle your goals with strength training at our Brampton health club. 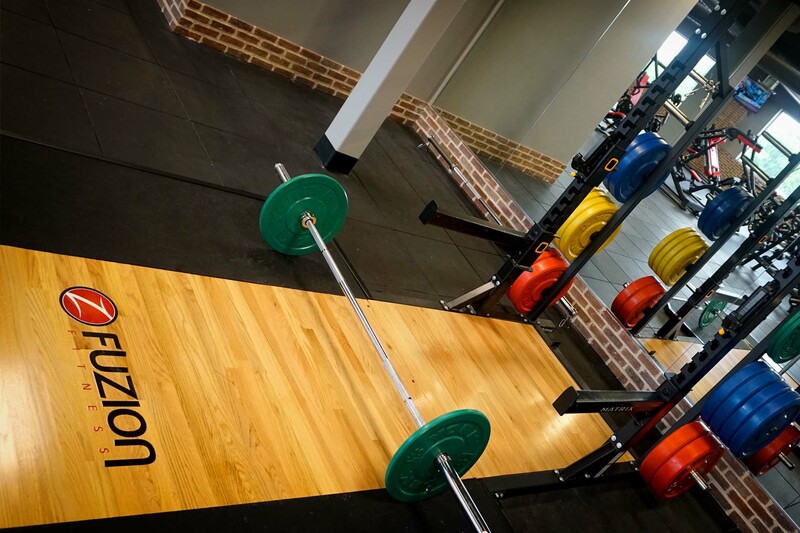 We offer a great selection of plate loaded and selectorized machines and free weights for your workout. Trainers are on hand if you're new to the gym or if you need to break through a plateau. Get lifting today and feel the Fuzion difference!